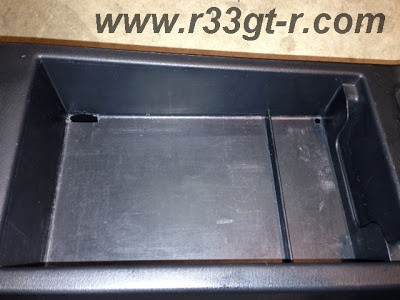 One Man's Lonely Adventures In His R33 Skyline GT-R: Glove Box and Center Console Clean-Up! Glove Box and Center Console Clean-Up! So here is something I've been meaning to do for a long time. 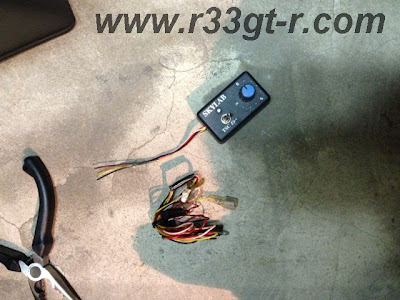 A few months after I got my GT-R, thanks to the UK GTROC forum, I was introduced to a product made by a forum member which was marketed as an alternative to the expensive (or discontinued) torque split controllers by GRID, FIELD (E-TS Linear) or Do-Luck (D-ETS-M). But it turned out to be a waste of money, I should have stuck with the tried and true. 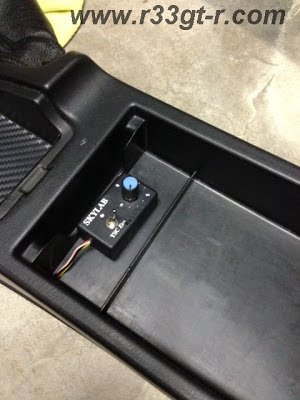 This is how I just left the wires underneath the console, unplugged and unused. 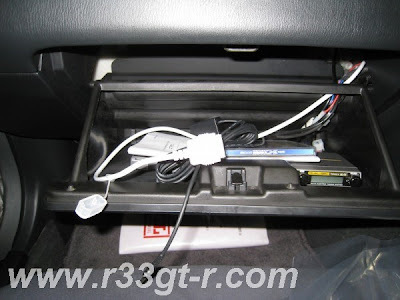 On the other hand, when I first got my car, I had a Navi installed, and one of the options I got at the same time was an ETC reader for electronic toll collection on Japanese expressways. However the shop had installed this in the glove box, which, in addition to the boost controller and later an iPod docking cable, meant for a very crowded glovebox - essentially unusable. 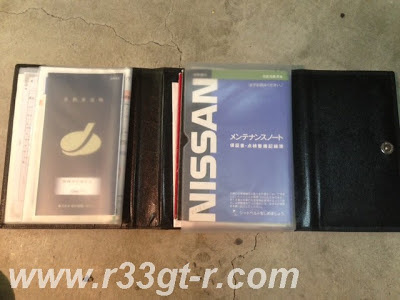 So nothing fit, but I didn't really care, until I bought this beautiful, limited edition, leather "shaken" case from what Nissan called "The Nissan Collection"... designed to fit in the glovebox. But because it didn't fit in the glovebox, I had kept it on the rear seat, which meant it ended up on the floor... not good. 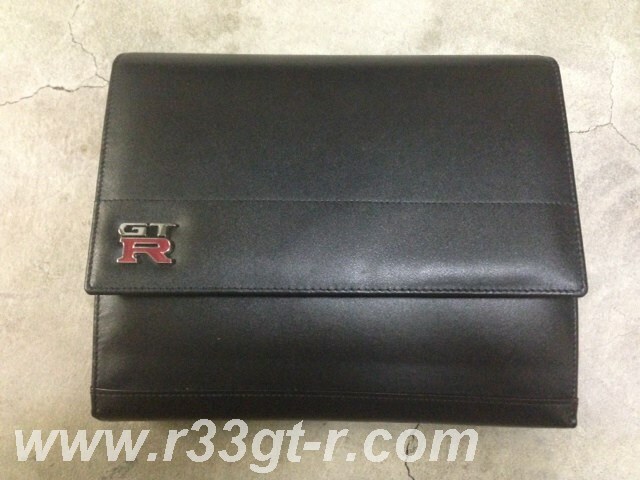 Limited Edition, "Nissan Collection" item. 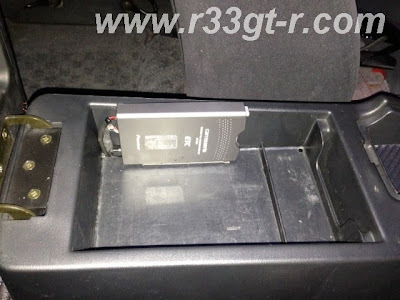 Hence I decided to relocate the ETC reader device from the glovebox to the center console. 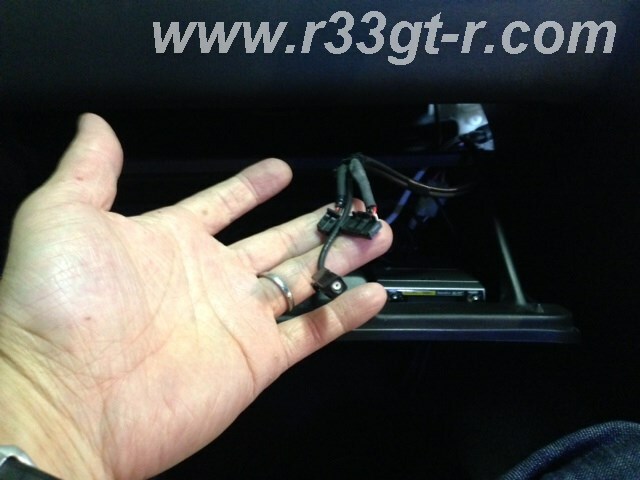 First, I had to remove the center surround to access the stereo head unit, as well unscrew the HVAC and head unit to access these wires in the glove box which connected to the ETC device. Anybody want this? Just pay for shipping and it's yours! This allowed the ETC device to fit in nicely - even though it appears to be taller than the box, the cover has an indent which means no problems in closing the lid securely - and no problems removing the credit card sized ETC card when necessary, either. And use of double stick cushion tape means this is as secure as can be. Check out all that space there in front - perfect for some secret unseen switches? 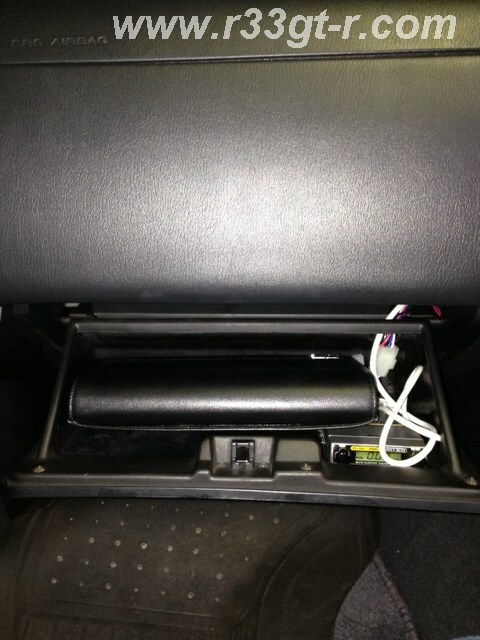 Now the glovebox has more than enough space for the Shaken case to fit. In conclusion - while storage space is limited, I now have use of the glovebox. And, given the space still available in the center console, this means any other devices I get - can be located there too. And yes, already have some things in mind.... stay tuned! Why didn't You like skylab? Any particular reason for it? I just bought one and hope I didn't make the wrong choice!? The one I had was more basic, and probably works to some extent. 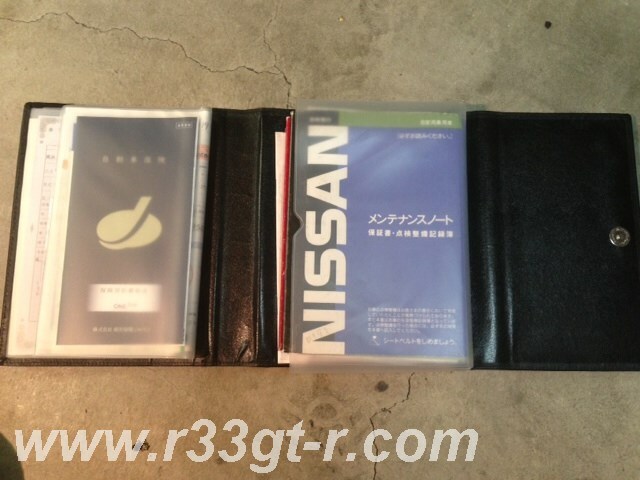 The issues for me was, again, I did get some warning lamps that came on, and the guys at Nissan told me that these kinds of mods happen often. The only devices that apparently don't do this are the ones usually made by Japanese companies, because they have access to the wiring diagrams, in Japanese, as well as support from Nissan. Hence I wonder about products made outside of Japan for the second generation GT-Rs. 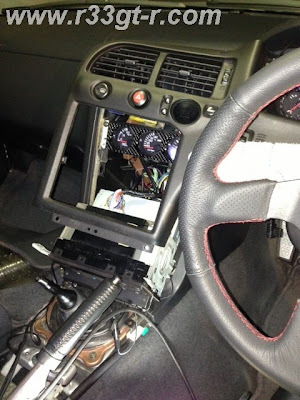 IF you read my blog keenly, nothing from the UK that I've bought for my car has worked out smoothly. But this is just my experience. Perhaps you will have a better one? 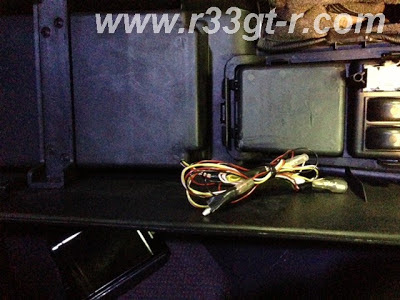 BNR34 Rear Diffuser Project, Part 5: Done!